September 2015 - Perry Hood Properties, Inc. When you hear the term ‘air pollution’, your first thought is probably of a smog-filled city street. Air pollution affects the inside of your home too, however. Radon, lead, formaldehyde and chemicals could be in the air and cause health problems for your family from asthma to allergies. Here are some simple ways to improve the air quality in your home. It’s well-known that carpet can hold onto dust and other contaminants and greatly impact the quality of the air in your home. 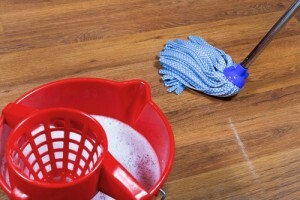 But tile and hardwood floors can also be culprits if they’re not kept clean. Your first step is to buy a vacuum with a HEPA filter. This ensures that dust and allergens are sucked up and kept in, rather than being released back into the air. Following up your vacuuming with the mop will help collect any dust that was left behind on those hard surfaces. A microfiber mop will grab onto dust and dirt without even adding cleaning solution. 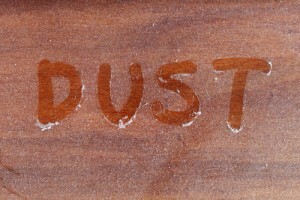 When the humidity level in your home rises to 50-percent or more, it creates a friendlier environment for dust and mold. In the summer, running your air conditioner helps to reduce indoor moisture in the air and controls allergens, provided you have clean air filters. 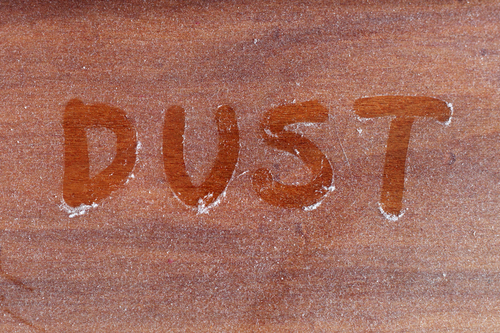 The rest of the year, a dehumidifier can help if the air gets too humid. Additionally, if your dryer doesn’t vent outside, hire someone to reroute it. Also crack a window when cooking, showering or running the dishwasher to immediately let moisture escape. Many of us enjoy the lemon or pine scent that comes with cleaners, air fresheners and laundry detergent. These synthetic fragrances impact air quality, however, by releasing chemicals you or your family could be allergic to. In fact, one study found that a typical plug-in air freshener emitted 20 different volatile chemicals. If the air in your home needs to be freshened up, consider a more natural alternative. Open a window to let in fresh air. If you enjoy a specific scent, consider using lemon juice and baking soda when cleaning, or boil cinnamon sticks on the stove. Most homes are now equipped with carbon monoxide sensors to warn of the presence of harmful gas. Radon is another concern that isn’t tested for enough. It’s also an odorless gas and is the second leading cause of lung cancer. Testing every 6-months to a year is a good idea to ensure the air in your home is safe. There are similar methods for testing for other contaminants and allergens in your air, as well. By testing regularly, you’ll detect a problem before it causes serious health hazards. At Perry Hood Properties, we build high quality homes in Tulsa, Bixby and Broken Arrow and want our customers to enjoy those homes for years to come. If you’re ready to build your next home, give us a call to get started. Or browse through our inventory of already constructed homes. While we specialize in building attractive, comfortable homes, we understand that many of our home buyers need to sell their home as well. With that in mind, here are a few tips that help make your current home more attractive to buyers and sell faster. Above everything else, your kitchen will be scrutinized more closely, and be a bigger selling point, than any other room in the house. That might mean you need to remodel your kitchen, or at least upgrade some key areas, in order to find a buyer. In most cases, outdated countertops could knock off $10-thousand or more from the buying price, while installing new counters is a few thousand less. There are less expensive ways to make a dated kitchen more attractive too. Consider a new cabinet color and updated hardware. Even buying just one, new stainless steel appliance will convince buyers that your kitchen is more modern. Storage space is also extremely important. While it may not be a deal breaker like your kitchen, extra closet space could convince a buyer who is on the fence. You can make closets look larger by taking out some of your stuff. Find somewhere else to store your extra clothes and organize what’s left. A closet that’s half full and very neat looks much more appealing than one that’s stuffed to the brim. Before any buyers enter your home, you’ll want to take down curtains and window shades and thoroughly clean the windows. This will let in plenty of natural light, which many buyers cite as an important factor. They can always put up curtains when they move in, but it’s much harder to get more light into a room. You can even buy higher wattage light bulbs and trim trees and shrubs near windows to maximize the light. 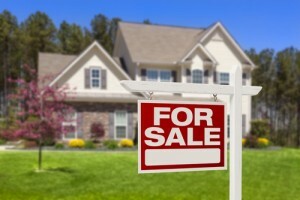 By the time a potential buyer walks in the door, they’ve already made a judgment on your home. If it doesn’t look good from the outside, nothing inside will convince them it’s a good buy. A little landscaping goes a long way, so be sure the lawn is mowed and vegetation is trimmed. Add some brightly colored flowers and be sure leaves are swept and removed. If you need a fresh coat of paint on your front door, or to clean your porch or walkway, do so to make your home look more inviting. The goal is to allow buyers to imagine themselves in your home. It’s harder for them to do that with an excessive amount of personal pictures and keepsakes. While you don’t have to remove everything of significance, there’s a reason model homes look so attractive. Removing some of the personal flair also serves to de-clutter your house and make it appear more spacious. 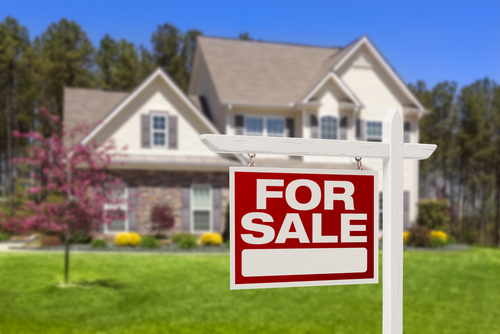 When you’re ready to sell your current home and move into a new home, contact us at Perry Hood Properties. We build homes in the Tulsa, Broken Arrow and Bixby areas. Browse through our currently available homes, or start construction on your own customized home today. Oklahoma’s strongest recorded earthquake, measuring 5.6-point on the Richter scale, occurred within the last five years. Earthquakes in Oklahoma are stronger and more prevalent than ever before and it has many homeowners looking into adding earthquake coverage to their home insurance. Is that the right move for you? Here are a few things you need to know about earthquake insurance to help you make your decision. The deductible of your insurance policy tells you how much you’ll have to pay without the help of insurance in the event of an earthquake. Typically, in the case of earthquake coverage, your deductible will be calculated from a percentage of the policy limit. In states like California, a deductible usually starts at 15-percent of the policy limit. In Oklahoma, you can get a much lower deductible, at times as low as 2-percent of the policy limit, but that may come with a higher annual premium payment. If your home is insured for $300-thousand, you can expect your deductible to be at least $6-thousand and more in most cases. The nature of earthquakes makes it less necessary to insure the contents of your home. In a fire, for example, both the structure and your possessions are likely insured so you can replace your home and the contents of it. An earthquake is less likely to damage your possessions, however. So earthquake insurance usually offers to cover possessions up to a specific dollar amount, which usually starts around $5-thousand. This will mainly cover any electronics or breakable items that were broken by a fall. If you require more coverage, that dollar amount should be able to be added to. Your standard homeowner’s insurance policy only insures items like jewelry up to a certain dollar amount. Earthquake insurance policies typically include far more exclusions that won’t help you pay to replace certain damages and don’t count towards your deductible. These include loss or damage to landscaping, pools, fences and separate structures like garages or tool sheds. High dollar items like chandeliers, china and crystal are also often excluded. It’s important for homeowners to know what is and isn’t covered so they can financially plan properly and add coverage where it’s needed and available. 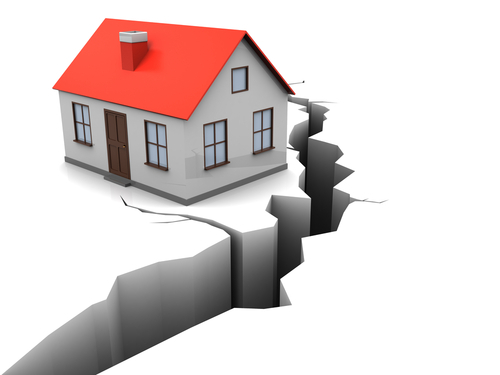 While it may seem like earthquake coverage doesn’t cover much, in the event of catastrophic damage it’s entirely necessary and can result in significant savings. Since Oklahoma isn’t viewed as a severely at-risk area where costly damage from earthquakes regularly occurs, policies can be as little as 50-cents per $1000 in coverage. That means you can insure your home and some possessions for only a couple hundred dollars per year. While Oklahoma has already seen major earthquakes, thankfully, catastrophic damage has never occurred in the Tulsa area. Still, being covered in the event of an earthquake is a choice many homeowners are now making. At Perry Hood Properties, we provide resources to our homeowners to keep their families and homes safe from all types of issues. If you’re ready for a new home, browse through our catalog of currently available homes in the Tulsa, Broken Arrow and Bixby areas, or call us to start the process of building your own home. We use hardwood floors in our homes because they offer a great look and are actually easier to keep clean than carpet. While some have concerns over durability, with proper care, a hardwood floor will look better for longer than a carpeted floor. Here are some basics for caring for your hardwood floors that ensure they look like new for years to come. Many of us overthink the cleaning of our hardwood floors. The truth is you don’t need expensive, chemical cleaners. You only need warm water. That’s warm, not boiling, which could actually damage your floors. With a damp mop, you should be able to perform typical cleanings. Two additional notes here. First, there are other tactics to use if you have extreme scuffs or stains on your floors. Second, be sure not to completely soak the floors, as too much water could cause floor boards to expand. There’s also a very specific way to use your mop to ensure all the dirt and grime on your floors is washed away. Look at your floors and determine which way the grain goes. Now, use your mop to go with the grain. This ensures that all the nooks and crannies in your floor are cleaned and no dust gets lodged in them. If you have a vacuum with a floor brush attachment, you can use this before you mop to get loose dust out of the way. When weekly mopping isn’t enough to remove excessive amounts of dirt, pet hair, scuffs and stains, it’s time to bring out the big guns. First, try a trusted wood cleaning product. You’ll first need to know if your floor has a hard finish or a soft oiled finish. This will dictate which product you buy. For tough grease stains and heel marks, you can clean with detergent to gradually break down the stain. You’ll likely need multiple attempts depending on the stain. A fine steel wool sponge and floor wax can then eliminate water marks and diminish any small scratches. Should any significant damage occur to your floors, authentic wood floors can be replaced board by board, whereas laminates often must be replaced completely. To see our currently available homes, complete with wood floors and other amenities, visit the Available Homes section of this site. Or, if you’d prefer to build your own home, contact us to get started. While this certainly wasn’t the the hottest Oklahoma summer on record, you may have still been forced to endure some extreme temperatures in your backyard. This is the time of year that many homeowners make changes to ensure that next year, their backyard offers a little more comfort. If your yard requires more shade, consider these ideas and get a much needed respite from the sun next summer. When you think shade, the first thing you think of is likely trees. Unfortunately, trees aren’t an immediate fix. If you plant trees in your yard this year, it could take a few years before they grow large enough to provide substantial shade. Additionally, there are the additional headaches of messes from birds, falling debris like nuts and branches, and roots that could cause damage to sewer lines. Still, there’s nothing quite like a backyard shaded by mature trees. If you’re considering purchasing a new home, look for a lot that already features mature trees and plenty of shade. Go to any resort and you’ll likely see some form of umbrella offering shade to guests on the beach or by the pool. For your backyard, you could purchase a table with an umbrella included for shady cookouts, or a free standing umbrella for lounging. They’re a fast, affordable solution, but not necessarily one that’s built to last. Umbrellas won’t hold up to wind and storms well, and will likely need to be packed away at the end of the summer. 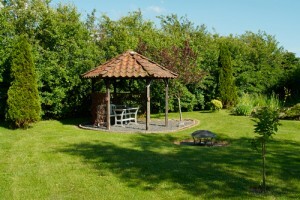 A more permanent idea is to build a structure with a roof in your backyard. Pergolas, cantilevers and gazebos all offer a luxurious look while also bringing a shady paradise to your yard. The size of your budget will determine how intricate your plans are, but even a simple canopy or awning can create a much more comfortable space. There are also options that allow you to let in just as much sun as you want. If you don’t want to be completely shaded, make the roof opaque or lattice. At Perry Hood Homes, many of our available lots and houses come with mature trees, spacious backyards and beautiful views of neighborhood ponds. To find a lot that’s perfect for your next home, simply contact us. Or, browse through our currently available homes.